Technological disruption is accelerating industry change at an unprecedented pace with entire industries and traditional business models being displaced by the latest innovations. This is currently happening in the mobile payments landscape where the ecosystem has evolved into a complex network of providers, from card networks, issuers, gateways, acquirers and more. Previously, banks owned the processing, transaction fees and customer data. Now, merchants and OEM payment methods are challenging this model with more competitors demanding a portion of the transaction fees. New payment technologies such as mobile wallets have helped them do just that. Apple Pay, Android Pay, and Samsung Pay, have burst onto the scene disrupting the mobile payments landscape. Yet, a study by Accenture found that while 52 per cent of North Americans are “extremely aware” of mobile payments, only 18 per cent use them on a regular basis. One reason for this is that while there are many new OEM payment methods, these payment methods today do not integrate loyalty points, gift cards and discounts in a way that create a frictionless and enhanced experience for the consumer. Ultimately, this means new payment methods are simply battling for a fixed customer base rather than growing adoption through innovation. 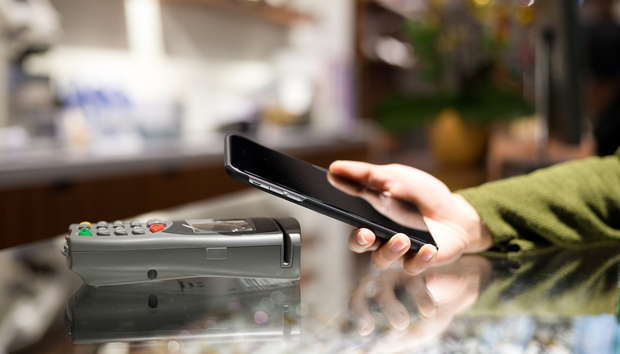 Mobile payments are emerging, but the market forecast is optimistic. In fact, eMarketer predicts a $10 billion increase in mobile payments in the US by the end of 2017. And, according to Visa Europe, 60 percent of the UK population is expected to use mobile payments at least once a week by 2020. Yet, in order for this to happen, secure technologies must be made open to the ecosystem — for banks, merchant acquirers and retailers. By unifying payment platforms that bring payment, loyalty programs, gift cards, coupons, and ultimately other forms of digital value together in a single mobile wallet, all the players in the payments ecosystem have the ability to deliver a frictionless and enhanced shopping experience. Merchants have traditionally relied on third-party providers such as banks or merchant acquirers to provide the transactional interface. In doing so, the merchant adds costs and often loses out on transactional data insights to their ‘payment DNA’. By inserting themselves into this model with a unified payments and loyalty services platform with a personalized consumer user interface, merchants are able to capture rich insights into their customers. The benefit is great, and goes beyond efficiency and reduced processing costs. Account-based transaction models give key insights into shopper history. This data can be integrated with marketing technologies such as CRM systems in order to provide additional personalized services at the point of sale – discounts, offers and loyalty points. This is all aimed at keeping the consumer close and building loyalty, which provides a key advantage to retailers around the globe. As well, convenient one-click pay buttons capabilities such as barcode and near-field communication (NFC) scanning, particularly those tied closely to inventory management systems, have also enhanced shopping on mobile phones. In-aisle purchasing and features that enable consumers to scan an item and add it to their shopping cart provide ease-of-use and help boost customer loyalty. Underpinning each of the transactions must be a robust layer of security. A unifying platform should have, at its core, the ability to register, authorize and provision credentials. One can imagine it as a secure engine powering the retail wallet. This engine must also include the ability to upgrade or add different operational modules that can handle and convert different types of digital currency. For example, if a consumer is paying with a gift card that is included in the retail wallet, the engine must be able to recognize the amount, and convert it into a value that can be deducted from the original purchase amount at the point-of-sale (whether through one-click of the buy button in the app, in the online shopping cart, or at check-out with an NFC-enabled payment). In a landscape of ever-increasing technology and business model disruption, accelerated adoption and pull from consumers defines success, trust, convenience, and perceived value are the ingredients that will propel mobile payments and digital wallets. Unifying various types of digital value and enabling consumers to easily shop and pay is the tipping point to broad adoption.